Two weeks ago my good old earphones stopped working and I started looking for a new pair on the Internet. After doing some more research I decided not to go for another pair of earphones but for headphones, as I would mainly use them at home. 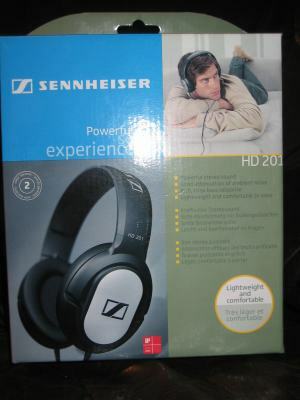 I saw some good reviews of the Sennheiser HD 201 headphones and decided to buy them for 27EUR. That's actually quite pricey compared to the United States were you can find this headphone for $17.99 at NewEgg but I couldn't really find them much cheaper in my country. I received the HD 201 a few days later and put it on. The Sennheiser HD 201 feels pretty comfortable for a headphone of this price class. The HD 201 has closed cans and I can wear them multiple hours without a problem. They feel pretty light on my head and I don't get the feeling that my head is trapped between two clamps. 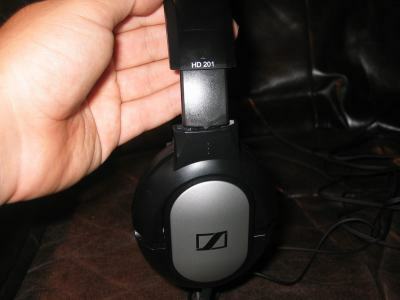 The sound quality of the Sennheiser HD201 is excellent. Of course it doesn't sound as good as headphones that cost more than five times as much but for its price it sounds real good. These headphones are excellent for home use. I use them to listen to music and to watch movies on my laptop. You could use them on the go but the HD 201 doesn't have a foldable design like the Sennheiser PX 200 and it has a pretty long cable so it wouldn't really be convenient. If you need a cheap pair of closed headphones you should definitely consider the HD 201s. - I couldn't really find something bad about the HD 201. I've just bought a pair of these for my girlfriend, tonight I have to give them to her so I've listened several hours at work. What can I say... now I hope she wouldn't like the design so I can keep them :) a little egoist, but HD 201 deserves. About lack of bass: I have nothing to complain of as I listen mostly rock/metal/instrumental rock, after reading a lot of reviews I expected no bass at all, in contrast with this the bass is very responsive, profound and not so loud to cover higher drums/guitars/other higher pitched instruments, perfect for me. If you don't want a subwoofer in your head and good sound quality, I strongly recommend them. PS: wouldn't dream to have such sound at such price. This is a good quality product...But it hurts my ears.OUCH!. 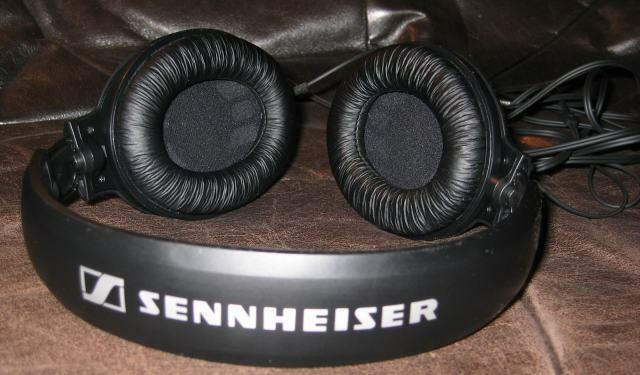 Senheiser should make much softer ear pads and more hollow headphone for more comfort... What's the use of listening to quality sound when it hurts your ears. I have a pair of Sennheiser HD201s and a pair of slightly more expensive AKG K420s. Compared to the AKGs the Sennheisers sound like cheap tinny Chinese toys, particularly the bass sounds. 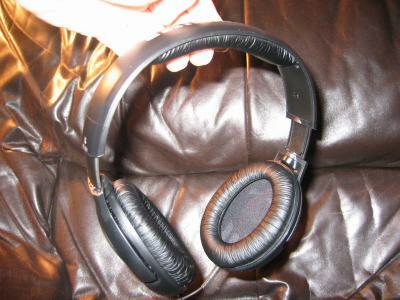 When I hook up the AKGs to my Nokia E71 it is like listening to music via a pair of Bose speakers. In comprison, the Sennheisers sound like a 1950's pocket radio. 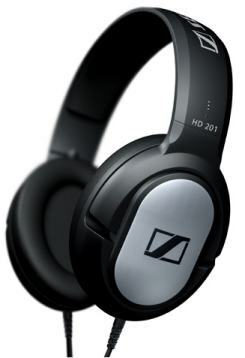 sennheiser hd 210 headphones are excellent for the price you pay,if you want crisp treble and crisp bass these are not for you,these tend to be o n the muddy side of bass, and the treble is in the mid range, the only other solution is to buy something more professional. Something to remember is the Sennheiser makes studio products. These headphones are for monitoring, and don't boost anything. The response is supposed to be as flat as possible . . .
Had these for around 6months before the sound in the Right ear just stopped working. While i did only pay 50NZD on them can't help feeling dissapointed. Wouldn't recommend. For the 19 euro's I paid for it I find it an very good headphone. Bought it for the kids using their DS or MP3 players... Now daddy uses it also !! These are very comfortable (!) and the length of the cord is definately a +, just bought a pair for my daughter, but to be honest - re sound-quality I expected a bit better for the price. The headphones don't sound as refined as my other pair (KOSS Porta Pro)! Compared to my own pair the Sennheiser HD 201 are missing definition in the higher frequencies and even a natural even bass. If you want to spend your money wisely and don't mind getting a pair that isn't closed (blocking off background noise) then I suggest try to have a listen to the Porta Pro - even though they are perhaps not as comfortable. The KOSS even have a lifetime no questions asked warranty. If you don't compare the HD 201 headphones to the KOSS though the headphones appear to make good value for money. I do have a Sennheiser HD201 and have use it more then 2 yrs. It still sound great but the ear pad start the peel drop off, the leather drop all over the place and sometime it even stuck on my hair. It do have a good sound which is use it for gaming, music, and many more. Compare to a Philips SHP2000, it is clear and you can feel the beat of the songs. 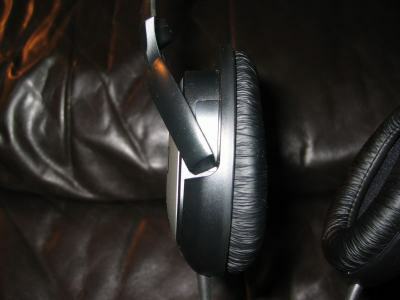 The only good think i like about SHP2000 is that it have tighter Bass compare to Sennheiser HD201. I would give this product a 11/10 if possible. I have just bought a pair of these headphones from over in new zealand and whn i thought being such a small country that we would get all the throw back electronic products, not the best ones, and especially that these ones where only $40 NZD i thought i was taking a risk as it os usually very hard to find a high quality headphone at this price. But nope, trust sennheiser to give me a great product the HD201 are a very good set for there price the look clean and smooth and sound great for the money you pay. definatley a great choise of headphones if u want quality and dont want to break the bank. also i thought i might add that i am a very fussy person when it comes to comfort and i have no problem wearing these for hours!! For portable use, not so good... Sounds very flat, get an amp like a FiiO E5 to drive them properly. I believed you all guys. just ordered it. Thanks. very nice headphones for the price. the sound is really good and they are so light you don't even feel you are wearing them. these headphones are great, ive had them a few weeks and they give brilliant quality, they let almost no sound in and not a lot of sound out either. If you are looking for a cheap pair of headphones which are comfortable to wear and give brilliant quality, GET THESE!!!!!!!!!!!!!!!!!!!! suits well for monitoring purposes. i bought a pair last year, primarily so i could practice my electric guitar in private. like your reviewer i couldn't find anything bad about them. i even use them when listening to music on my PC. the audio quality and tone is nice. but if u lika natural sound without any musklebas bye these headphones. week in bass reproduction compared to PX100. but i like this "clear" sound, one of friends said "for classical music :)".